This week we have an Alphabetical Jigsaw by Radler. Just follow the instructions below the grid and you will soon be able to work out the positions of some of the answers and the rest should follow. There is an interactive version of the puzzle here, but please note that this is in standard non-jigsaw format. If you prefer your puzzles on paper, a pdf of the puzzle an be downloaded from here. 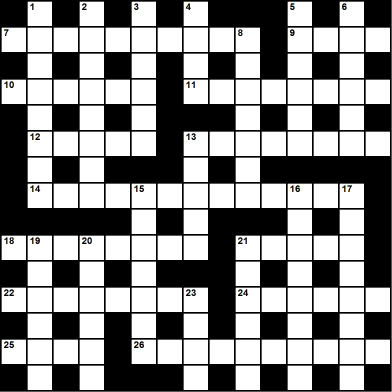 The clues are listed in order of the initial letters of their solutions and must be inserted jigsaw-style into the grid.